At a recent social gathering I was introduced to the Egyptian/Australian oud player, Joseph Tawadros. 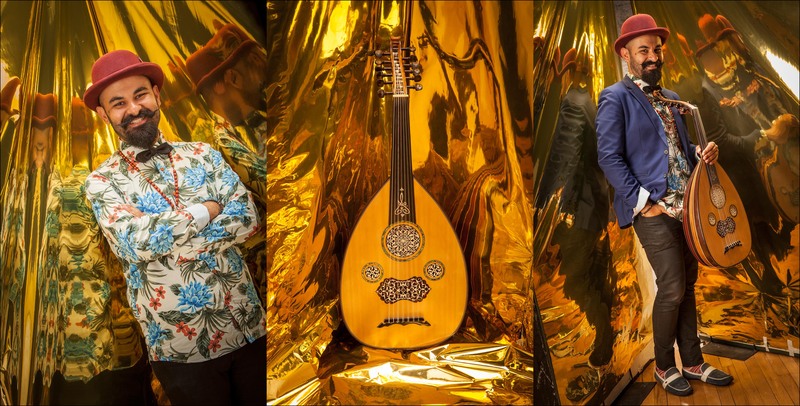 As you can see from the photos here, and on the web-site proper, this man is an especially flashy dresser, not to mention one of the most prominent Oud players around. I invited him over to the studio, where we spent a few hours shooting the breeze and getting to know one another. He’ll be back in Britain in 2016, so keep an eye out.